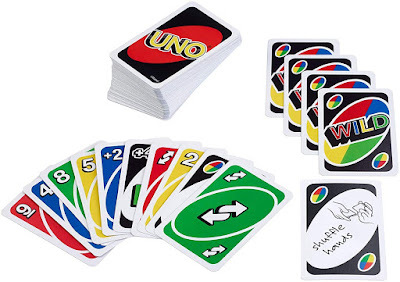 Savvy Spending: Amazon: UNO Card Game for just $3.39 shipped! Great stocking stuffer! Amazon: UNO Card Game for just $3.39 shipped! Great stocking stuffer! Amazon has this classic UNO Card Game for just $3.39 shipped (regularly $9.99)! This is the #1 Bestseller in Card Games and is a must have for any family! Great for young kids to learn colors and numbers (we started playing with our youngest when she was just 3!) and the perfect addition to your family game night rotation!